The Anglesea Football club was established in 1963 and are known as the Kangaroos. Before the founding of the club, the locals played for Freshwater Creek. We started in the Geelong and District Football League in 1963 and 1964 seasons where they played for the Jarman Cup. In 1965 Anglesea was Promoted to the Woolworths cup when the Jarman Cup became a reserve grade for the first division clubs. In 1973 the club crossed from the Geelong and District Football League to the Bellarine Football League where we have stayed ever since. Since our breakthrough senior premiership in 1983, we then added to our senior premiership tally in 1991 and 1999. The club has had a new makeover at the end of the 2012 season where it received grants to redevelop the facilities. With state of the art facilities, including a fully equipped gym, it provides a great environment for players wanting to play our great game. The Anglesea Football and Netball Clubs strives on being a family club. With a fantastic Auskick programme and five Junior sides, the club is very happy and excited about the future of the club. 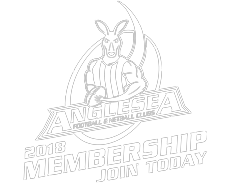 So if you are looking for a club to join, or a club to support, Anglesea Football club is the place to be.